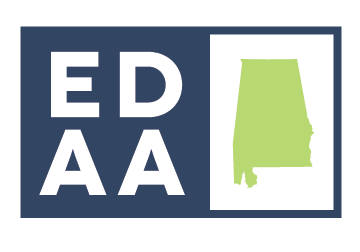 The Alabama Department of Commerce is seeking a Rural Development Manager to join the project management team in the Business Development Division. This position will provide technical assistance to rural communities under consideration for economic development projects, as well as provide ongoing assistance and training for rural communities seeking to make their communities more competitive for economic development projects. For more information, click here. The Coastal Alabama Business Chamber seeks experienced candidates to fill the Marketing Director position for the Advantage Coastal Alabama/Business Where You Beach Campaign. The Business Where You Beach Campaign is a targeted business recruitment campaign focused on the targeting of business decision makers that visit Coastal Alabama. The successful candidate should demonstrate proven sales, business recruitment and marketing experience. Eligible candidates must also possess an outstanding collaborative spirit, excellent communication skills, management and organizational experience, and strong leadership qualities. A minimum of 5 years of progressive marketing, outside sales experience will be given highest consideration. The position offers a competitive benefits package and annual compensation is dependent on the selected candidate’s specific qualifications and experience. The Shelby County Chamber of Commerce is seeking applicants for the position of Manager, Community & Career Development. This individual will be responsible for planning and implementing events, programs, and initiatives associated with the Chamber’s workforce development goals. They will work alongside 58 Inc., Shelby County’s economic development entity and the Chamber’s collaborative partner. For more information, click here. Submit resume and references by no later than January 14. MAIL: 1301 County Services Drive, Pelham, AL, 35124; EMAIL: info@shelbychamber.org. The City of Madison is seeking an Economic Development Director professional responsible for enabling retail, commercial and industrial development that will enhance job growth and the City’s sales, lodging and license tax base. This position serves as the City’s primary interface with firms/individuals desiring to locate retail, commercial and industrial businesses within the City. Position works under general direction of the Director of Development Services (Director) with wide latitude for the exercise of independent judgment and initiative. Works closely with the Director in promoting economic development strategy for the City. The Director manages the City’s Development Department which includes land use control or zoning, grant management, and development. The Director is both an ambassador and collaborator. With the goal of optimizing the economic impact of the community, the incumbent is responsible for initiating, supporting and managing key economic development projects on behalf of the City. The Director will direct and administer all operations and projects of the development department, including, but not limited to, administration and enforcement of land development regulations; formulation and administration of community development projects; and economic development activities including industrial park development. The director serves as technical advisor to the Mayor, the City Council, and the Planning Commission on matters relating to development such as zoning, land use, city maps, historic properties, and development. Supervision is exercised over a professional and technical staff tasked with gathering and analyzing social, economic, and other data used to formulate recommendations in one of these three divisions—Land Use Control, Grant Management, and Development. The Executive Assistant to the Mayor oversees the work of the Director. The Chamber of Commerce of West Alabama (Chamber) is a private, non-profit, membership-driven organization comprised of more than 1,300 business enterprises, civic organizations and educational institutions. The Chamber is seeking applicants for the executive leadership position of Vice President for Economic Development. Randolph County Economic Development Authority is seeking an Executive Director. A Bachelor’s degree in economic development or a closely related field is required. Two (2) years prior work in a job closely aligned with the job description is preferred but not required. The salary will be based upon experience. One of the seven Regional Workforce Development Councils, established to provide a direct link to the workforce needs of business and industry, Region 5 encompasses thirteen (13) Alabama counties: Autauga, Bullock, Chambers, Coosa, Dallas, Elmore, Lowndes, Macon, Montgomery, Lee, Perry, Russell and Tallapoosa. The Director shall reside within one of the member counties listed above or be able to move there within a reasonable time. The Executive Director will be responsible for oversight of the day-to-day operations of the organization. Travel is extensive throughout the 13 counties and occasionally includes nights and weekends (conferences, events, etc.). The City of Auburn is seeking a Director of Industrial Development dedicated to the service of this community. This position is responsible for planning, organizing and leading the Industrial recruitment and retention program of the Economic Development Department. Employees of the City of Auburn strive to serve the public with the highest standards of excellence and accountability. We seek daily to earn and maintain the trust of the Auburn community and never to take it for granted. We recognize that the calling of public service is honorable and important, and so it is proudly that we serve those who call Auburn home. continuing education courses as needed. field, is preferred. A valid driver’s license is required. Barbour County, Alabama within six months of hire. benefits package will include health insurance, vacation leave, auto mileage reimbursement. interest online at INDEED.com or they may be emailed to: ebcchamber@gmail.com. Applications will be received through April 19, 2019. SUMMARY: Seeking an economic development professional to generate prospect activity for Conecuh County by serving as our Economic Developer. The Economic Developer will be responsible for industrial recruitment, existing industry support, property development, and workforce development support. QUALIFICATIONS: A College Degree, track record of success in an economic development, Industrial sales, or business development role as an executive or project manager.